Center X’s work extends across two graduate credential programs and many professional development initiatives. Together, this work aims to transform public schooling to create a more just, equitable, and humane society. The Center X Teacher Education Program (TEP) prepares aspiring teachers to become social justice educators in urban settings. To serve a wide range of aspiring educators, the Teacher Education Program offers several pathways that culminate in a Teaching Credential and/or a Master of Education degree. Center X’s Principal Leadership Institute (PLI) prepares educators to be social justice leaders and offers both a Master of Education degree and a Preliminary Administrative Credential. Students engage in 15 months of course work and field-based learning experiences, culminating in a master’s project that demonstrates candidates’ competency to be transformative instructional leaders. The AP Readiness Program aims to improve the teaching abilities of AP (Advanced Placement) instructors while simultaneously giving students the skills they will need to be successful in college level classes. AP Readiness allows students to work with master math and science teachers. Concurrently, their AP teachers observe and learn from the master instructors, gathering a framework for how to successfully conduct an AP course. Housed at UCLA and UC Riverside, the Leveraging Equity and Access in Democratic Education (LEADE) initiative works with communities and districts to ensure students have access to high quality civic learning opportunities. LEADE presents a conceptual framework, develops tools to help districts collects data on equity and access, contributes to public deliberation, and supports professional development. The mission of Center X Partnerships is to support schools in becoming self-directed, resourceful, and collaborative communities committed to social justice. This is achieved by valuing individual and collective experiences through instructional coaching and facilitating collaboration designed to increase the collective capacity of the school. The Alliance for California Computing Education for Students and Schools (ACCESS) is dedicated to advocating for high-quality K-12 computer science education in California and ensuring its accessibility to all students, specifically targeting under-represented students including girls, students of color and low socioeconomic students. ACCESS is a statewide network of computer science education leaders including professionals from education and industry. Exploring Computer Science is an NSF funded project with the mission to increase and enhance the computer science learning opportunities in order to broaden the participation of African-American, Latino/a, and female students in learning computer science. Exploring Computer Science is a 1-year, college-preparatory high-school course that exposes students to the breadth of computer science. 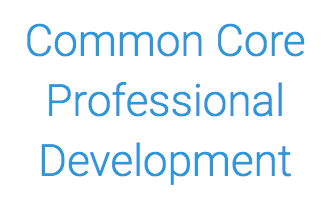 Teacher professional development, curricular resources and in-class support are also key elements of the work of Exploring Computer Science. The Institute for Cultural Sustainability and Educational Equity supports educators in transforming their schools into more effective spaces for educating culturally diverse students by developing their knowledge base around teaching and learning that is equity focused and culturally relevant, responsive and sustaining. We work with schools and districts to engage them in identifying processes and strategies that push educators to reimagine relationships, policies, teaching and learning through a cultural and equity lens to better serve their students and school community. The Introduction to Data Science (IDS) Project prepares high school teachers to teach a mathematics curriculum and to develop pedagogy that helps students learn to reason with, and think critically about, data in all forms. IDS provides access to rigorous learning that fuses statistics with computer science through the use of RStudio, an open-source programming language that is the industry standard for statisticians and analysts. IDS is a C-approved mathematics course in the University of California A-G requirements and has received a statistics designation. The UCLA History-Geography Project, one of the sites of the California History-Social Science Project, is committed to enhancing history-social science education in the Los Angeles region, with a focus on teachers and students in high-need urban schools. We develop and present research-based pedagogical strategies that help all students access our text-based content. The UCLA Mathematics Project is part of a statewide program that strives to make a positive impact on math teachers and their students. The project’s goal is to enhance the skill sets of K-12 math teachers who can in turn increase their students’ ability to succeed. Based on over twenty-five years of experience, UCLA Mathematics Project has developed a program that is helping to make significant differences in the quality of teaching in urban schools. The UCLA National Board for Professional Teaching Standards Project is committed to supporting educators pursuing the rigorous National Board Certification Process. The UCLA NBPTS Project brings accomplished teaching and student achievement to the forefront by supporting teachers in achieving the highest level of teaching excellence. Based in Connecticut, Center X Northeast approaches school improvement using research-based techniques, tools, and processes to promote continuous improvement of K-12 schools. Center X Northeast partners with K-12 school districts in a number of ways. Among these are Grant Development, Evaluation Services, Peer Learning Visits, Support for English Language Learners, and Support for District Leadership. The UCLA Parent Curriculum Project provides research based programs which focus on developing and sustaining parent involvement and leadership in the Los Angeles County School District. The project brings parents and educators together, stressing that a dialogue between the two is pivotal for the enhancement of student’s scholastic experience. The PCP partners with schools to improve this parent-educator dialogue, which ultimately helps to improve student performance in low performing schools. The goal of the UCLA California Reading and Literature Project is to design programs that identify, develop and provide effective instruction in English Language Arts for all students, with a particular focus on English Learners and developing readers. The California Reading and Literature Project provides high quality, standards-based professional development in reading and language arts instruction to ensure that every California K-12 student achieves the highest standards of academic performance. The UCLA Science Project implements programs that identify, develop and promote strategies that make good science instruction available and accessible to all students. The UCLA Science Project offers several programs throughout the year designed to foster collaborative communities of researchers and practitioners. Through these collaborations, the UCLA Science Project aims to deepen teacher’s science content knowledge and pedagogical content knowledge in order to better meet the needs of their students.